Home » Health » Coffee Is Good For Me, Right? Warning: If you are a coffee lover, you might not want to hear this! Over the years, there have been so many conflicting studies on the advantages and disadvantages of drinking coffee. This international drink has taken a prominent place in our daily life. Today, you can find a coffee shop on nearly every corner of a major city or town. The morning ritual for so many people is to line up, half asleep, in their favourite coffee house to get their coffee fix. A few years ago, I discovered a book entitled “Treatise on the Effects of Coffee”, translated from German to English by William M. Breyfogle MD in 1821. 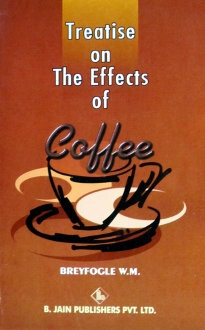 It contains excerpts from Dr. Samuel Hahnemann’s observations on patients who drank coffee. Dr. Hahnemann was a German doctor, chemist and linguist and also known as the father of homeopathic medicine. “To enjoy perfect health and a long life, we should only make use of purely nutritive food, free from irritant and medicinal particles. Medicinal products are substances which do not nourish our bodies, but alter its state of health; but every such alteration is a condition opposed to nature, that is, a species of disease. Dr. Hahnemann then proceeds to describe what happened to his control group of patients after drinking coffee, and here is a short summary of his findings. After drinking the first cup of coffee, the feeling of grogginess and fog that many of us experience after waking up is gone. The mind is altered and a feeling of happiness and well being is reached. All the tasks of the day ahead seem feasible as the body receives a “jolt” of energy. Sounds familiar? However, at the physical level, the caffeine in coffee negatively affects the central nervous system. The pulse rate increases and the heart becomes agitated with palpitations. Some individuals experience internal heat with sweaty palms and forehead. If too much caffeine is consumed, the muscles begin to tremor, anxiety sets in and a mild form of depression is present. As the effects of caffeine dissipate, the body becomes fatigued and irritable. The head becomes dull and the motion of the body becomes more difficult. The internal heat is gone and the extremities and forehead become cold. Like any other drug, you will need another cup of coffee, and another and another to reach the same blissful state once again. Coffee disrupts the natural digestion and elimination process in the body. It artificially accelerates the digestion and the normal feeling of sluggishness and sleepiness experienced after a meal is no longer there. On the other hand, if coffee is consumed regularly, the opposite takes place in the body: the digestion slows down and constipation alternating with diarrhea becomes a chronic problem. 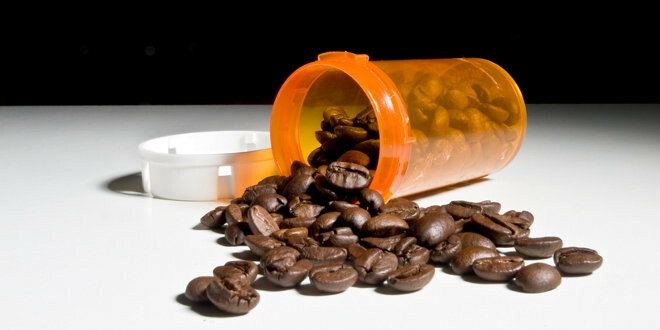 Dr. Hahnemann strongly suggested to stay away from coffee if you can! If you are looking for a coffee substitute, there are a number of caffeine-free products on the market that you can choose from. According to his research, cocoa is actually a nutritious, healthy and a much better alternative to coffee. Just be aware that the spices and processed sugars added to cocoa are the ingredients that are harmful. Cocoa on its own is fine to consume! Herbal teas: The Tea Spot and David's Tea. So there you have it. The choice is now yours! Note: I personally haven't drank coffee for more than a year now and I feel great!